The amount of wacky things happening in this news story is above average, so we’re just going to need everyone to stay calm and hold off on checking for signs that they’ve descended into some kind of twilight-y zone. 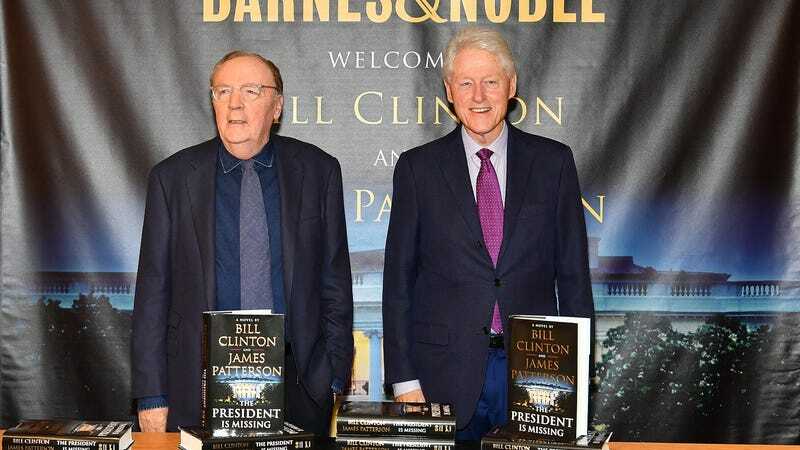 Here we go: A few years ago, we reported that Bill Clinton and James Patterson were working together on a mystery novel with the absolute Italian-chef-kiss title The President Is Missing, with Clinton and Patterson setting up aggressive and top secret meetings with the biggest names in Hollywood (Abrams, Spielberg, Clooney) in hopes of setting up an adaptation of some sort before the book was even released. The book didn’t turn out great, but its premise—noble president sneaks out of the White House so he can single-handedly foil a cyber-terrorism attack—is still utterly brilliant, so a plan to turn The President Is Missing into a TV show is still moving forward. Anyway, Peckham will write the adaptation, with Clinton, Patterson, and McQuarrie among the executive producers. The Recommended Stories are missing! Just kidding, here they are.